New Directions Publishing Corporation, 9780811220927, 106pp. Under Milk Wood is the masterpiece "radio play for voices" Dylan Thomas finished just before his death in 1953. First commissioned by the BBC and broadcast in 1954, it has been performed and celebrated by Anthony Hopkins, Richard Burton, Elton John, Tom Jones, Catherine Zeta Jones, Elizabeth Taylor, Peter O'Toole, and many others. 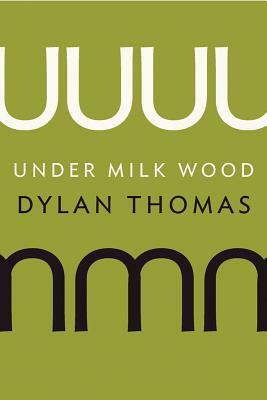 In Under Milk Wood, Thomas gave fullest expression to his sense of the magnificent flavor and variety of life. A moving and hilarious account of a spring day in a small Welsh town, the play begins with dreams and ghosts before dawn and closes "as the rain of dusk brings on the bawdy night." This new edition contains the definitive version of the play, edited by the noted Dylan Thomas scholars Walford Davies and Ralph Maud, with an in-depth introduction by Davies as well as extensive and helpful textual and explanatory notes.